This immaculately presented, elegant, high quality build villa is located within Aloha Golf, in a cul-de-sac, just a short distance to the famous Puerto Banús marina and situated within the golf valley of Nueva Andalucía. Orientated to the southeast this luxury home is built over 2 levels and offers the following features: Courtyard entrance with 2 double carports. Entrance level: Double height octagonal design entrance hall with atrium leading to living areas. 1st quality crema marfil marble floors throughout, high ceilings, decorative cornicing and concealed lighting features, double glazed iroco exterior carpentry. Spacious double aspect living room with fireplace and patio doors leading to large terrace overlooking the golf course – large bay window with seating area. Separate dining room with double patio doors also leading to the terrace. Painted light oak kitchen with black granite worktops, beautifully fitted with excellent selection of electrodomestics. Dedicated breakfast area. Separate laundry area and with staff bathroom off. Spacious double aspect guest bedroom (one of four) with en-suite bathroom (with Jacuzzi bath and separate shower), private study, guest cloakroom. 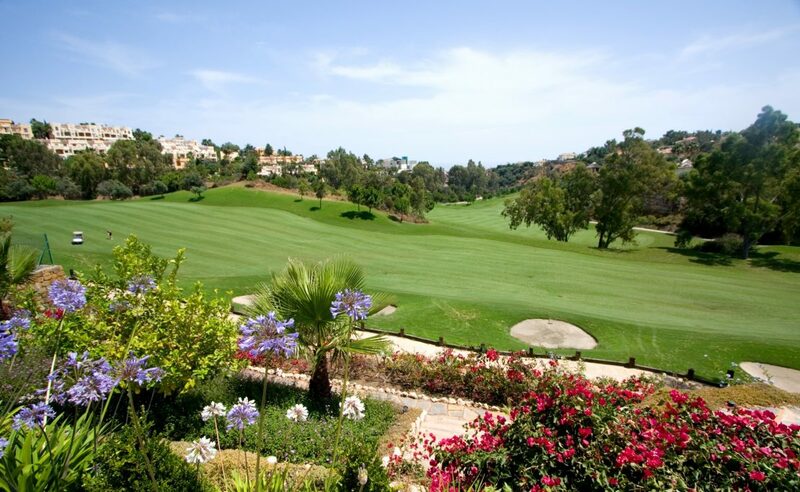 Terrace with stunning views to golf and mountains, perfect for alfresco dining. 1st floor Master bedroom with patio doors leading onto large covered terrace, guest bedroom 2 also leading directly to terrace, with en-suite bathroom. Guest bedroom 3 – spacious with separate dressing room and enormous antiqued marble bathroom with Jacuzzi, separate shower. Patio doors to terrace. Guest bedroom 4 – double room with his and hers dressing areas and en-suite shower room. Games Room/gum, storage room (could be a bodega), cinema room. The manicured garden has lawn area, lots of terracing, covered and uncovered, overflow style pool with pool room and storage on a lower level. Additional features are: Air conditioning throughout the house, under floor heating fuelled by gas, alarm system plus infrared security. Furnishings available by separate negotiations. 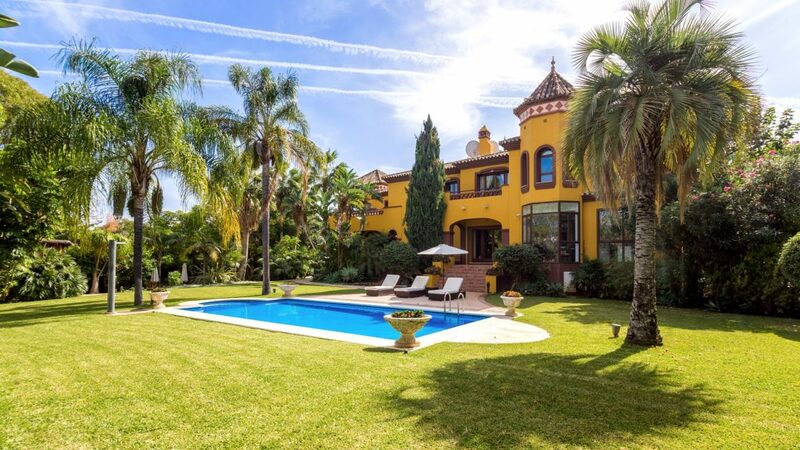 Please, send me more information about ref W-02769Q, Villa in Nueva Andalucia or similar properties.